The first three matches have been announced for WWE Survivor Series on November 18 at the Staples Center in Los Angeles. They are all Raw vs. Smackdown matches. Lesnar is a two-time WWE Universal Champion after he defeated Braun Strowman in a match for the vacant championship. The title win by Lesnar was a surprise to a lot of us and further proof that WWE feels very comfortable putting a title on Lesnar even though he’s only a part-timer. The Lesnar vs. Styles match will be a rematch from last year’s Survivor Series when Lesnar defeated Styles in a match that I rated ****1/2 out of five, which tells you that I thought it was a great match. It was Lesnar’s best match in the last five years going back to SummerSlam 2013 against CM Punk. I don’t mind that they are doing a rematch although I thought it would be Styles vs. Strowman. Based on star ratings, I think it would also be AJ’s best match in the last year too. Styles is on day 360 as WWE Champion. One year will be November 7 since he won the title from Jinder Mahal (remember him?) last year on the November 7 edition of Smackdown. Originally, it was Mahal who challenged Lesnar at Survivor Series and then WWE changed their minds by having Styles beat Mahal for the title. That change was a very good idea. Lynch wants equal billing to Rousey, who she calls “golden girl number two” in a tweet that Lynch posted today. 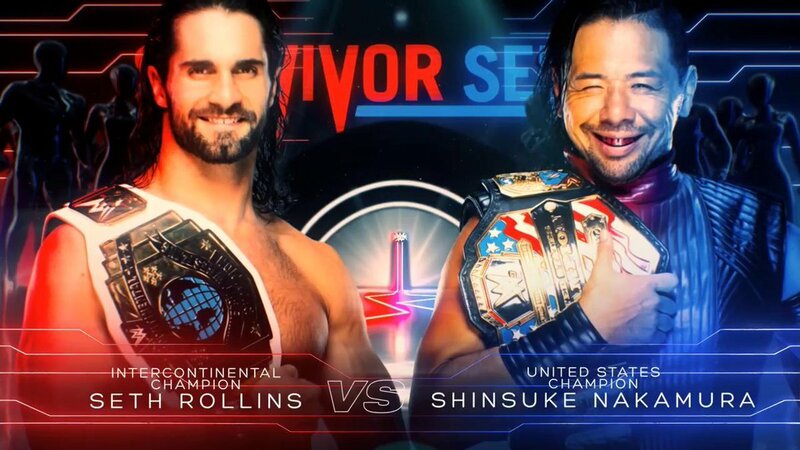 I would love to see that match as the main event of Survivor Series. I’m not sure if WWE would do it, but the crowd reactions to both women will be very strong. I don’t see Rousey getting booed in LA because that’s where she is from. That should be a lot of fun with a face IC Champion and a heel US Champion. I don’t think they have wrestled yet in WWE since Nakamura has been a Smackdown guy since he got called up to the main roster. There will likely be a match involving Tag Team Champions from both brands. The Bar retained their Smackdown Tag Team Titles at Crown Jewel, but there are questions about the Raw Tag Team Title situation since Rollins is champion along with Dean Ambrose, who turned on Rollins after the match. Perhaps WWE will have the champions forfeit the titles leading to some tournament or multi-team match to crown new champions. I don’t know who it will be, but I can see the Authors of Pain winning the gold soon. A women’s elimination match was mentioned on Smackdown when Paige asked Charlotte Flair to captain the Smackdown team, but Charlotte said she didn’t know if she could since she was feeling down after losing to Becky Lynch at Evolution. A Raw vs. Smackdown men’s elimination match is likely and that’s what headlined last year’s Survivor Series. There hasn’t been any mention of it yet, though, so we need to learn more about it next week on WWE TV shows. There are only two weeks of Raw and Smackdown before Survivor Series. We should know more about the Tag Team Title situation on Raw this Monday and likely know some of the competitors of the traditional Survivor Series elimination matches.